DIGIMERCE and OperaHouse Corporation have announced they are localizing Iris School of Wizardry-Vinculum Hearts- for Nintendo Switch. Iris School of Wizardry-Vinculum Hearts- is scheduled to launch October 11, 2018 on the Nintendo eShop for USD24.99. It’ll be available in North America, Europe, and Australia. Both companies have also confirmed they will be localizing one more Otome title for Nintendo Switch in 2018. DIGIMERCE Inc and OperaHouse Corporation is releasing a Nintendo Switch™ game software “Iris School of Wizardry-Vinculum Hearts-”. 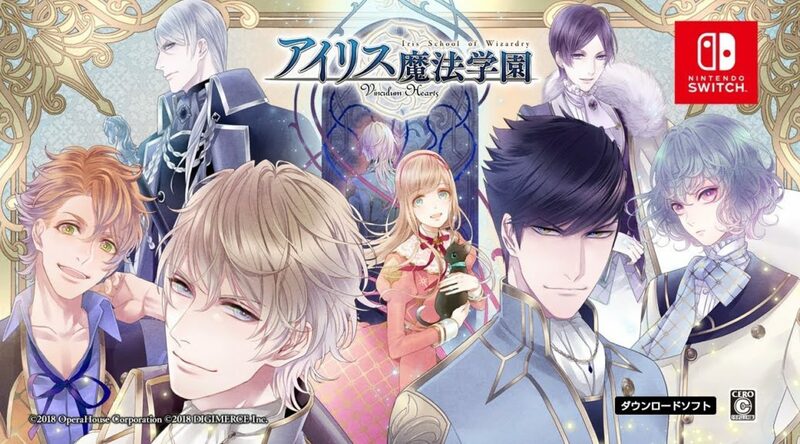 Wizardry -Vinculum Hearts-” towards North America/Europe/Australia in Nintendo e-Shop. This new game includes full voice recorded with main cast of popular voice actor of anime and games such as Tetsuya Kakihara, Tomohisa Hashizume, Ryosuke Kanemoto, Yuta Kasuya, Kazuyuki Okitsu, Mitsuki Saiga, Atsushi Kakehashi, Atsushi Miyauchi and Nobuhiko Okamoto. The game has been very popular in Japan with these splendid lineup of dubbers.